"It's really crazy," says Kim Sturdavant, speaking down the line from the Social Kitchen and Brewery in San Francisco. "I just had no idea it would really gather traction and take off as quickly as it has, and as widely as it has." Sturdavant is the inventor of Brut IPA, the latest iteration in the seemingly endless evolution of modern India Pale Ale, the hop-driven brew that has driven the craft-beer boom. Except that Brut IPA, which Sturdavant first made in September last year, has all the hallmarks of a full-stop to the beer world's current hop mania. It's low on malt character, yeast notes and even hop bitterness, and high on hop flavour and aroma. It's also very, very dry. "In terms of displaying hop flavour, I think Brut IPA does it much better than the super hazy IPAs that we've seen over the past couple of years," says Brooks Carretta, head brewer at Nomad Brewing in Brookvale, on the NSW Northern Beaches. Nomad has just released its first Brut IPA, Champers, made with Lemondrop, Citra and Nelson Sauvin hops. "It achieves the goal better in terms of letting hops shine through more cleanly. There's barely any malt flavour at all in the beer, which is really cool." The key to Brut IPA's flavour is the use of an enzyme called Amyloglucosidase (amylase for short), which breaks down complex sugars, allowing them to be converted into alcohol during fermentation. It's rarely been used for IPAs before (although Big Job, an IPA brewed by Britain's St Austell, has been made with it since 2012) but it's a common addition to low-calorie beers and some stronger stouts. The result is an extremely dry beer; the sort of beer that seems tailor-made for an Australian summer. 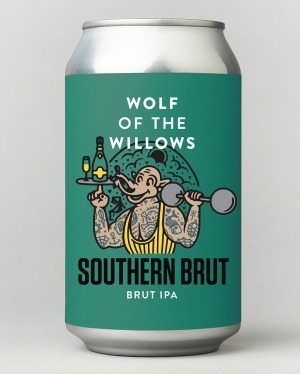 "It's a beautiful beer for the warmer months," agrees Scott McKinnon, co-owner and brewer at Melbourne's Wolf of the Willows, which made Southern Brut this year. "Particularly with seafood, and those types of more delicate and light dishes that we eat in the summer. 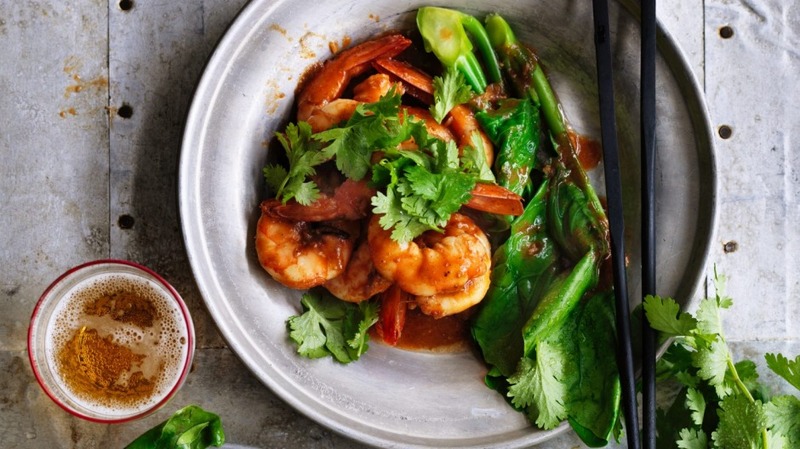 It also really suits anything with the herbs typically used in Asian food, like coriander or Vietnamese mint. It's a winner, as far as I'm concerned." Wolf of the Willow's beer was a collaboration with Melbourne beer blog Ale of a Time, which alerted it to what was going on in San Francisco. The idea immediately appealed to McKinnon; the result showcases southern hemisphere hops, Motueka and Nelson Sauvin from New Zealand and Galaxy from Australia. "I love dry beers," McKinnon says. "They suit my palate; [they] allow other flavours to really shine through, particularly hop flavours." More traditionally minded brewers might grumble over the addition of amylase, which has been used to make light, low-alcohol lagers since the 1960s. It's the sort of thing that the originators of the current craft-beer movement, with their focus on "traditional" methods, might have baulked at. Carretta is unconvinced. "We use enzymes, other enzymes, all the time," he says. "There's nothing artificial about it. You need enzymes to make beer itself. You usually use the ones that naturally start out in the malt, but this is just a little help from a slightly different enzyme." Given its novelty, it's no wonder that a number of brewers are still struggling with Brut IPA. Sturdavant himself has tweaked his recipe repeatedly over the past year; he now uses flaked corn and rice to keep the beer as pale as possible, and he adds the enzyme earlier in the brew, before boiling, in order to ensure it's not active during fermentation, which can cause flavour problems. "When I drink other people's Brut IPAs, sometimes they're good and sometimes they're not so good," he says. 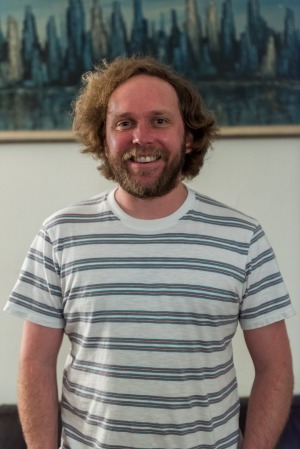 "Sometimes they have diacetyl, which is kind of a buttery flavour, and also I think that the enzyme actually chews on the hop oils and makes them taste a little stale and decreases their intensity [if it's active during fermentation]." For all of these technical brewing details, though, Brut IPA has the potential to be a really accessible beer. "It's an alternative to the idea that beer is just bitter and overwhelming," says McKinnon. "And, without wishing to stereotype, craft beer drinkers are overwhelmingly male. I think that's why sour beers have done quite well as well; they're different to a typical beer and they have the ability to appeal to someone who has a wine-drinker's palate." Carretta agrees. "It will suit a lot of different beer drinkers," he says. "Because it's hoppy, it suits the IPA people; it's dry, so it suits the people that are used to drinking cider or white wine; and it's not bitter, so even the people that usually don't like IPA can experience hops without the bitterness. It satisfies a lot of different palates." The name "Brut IPA" is a nod to champagne, coined after Sturdavant chatted to a wine-savvy pal about his new beer. 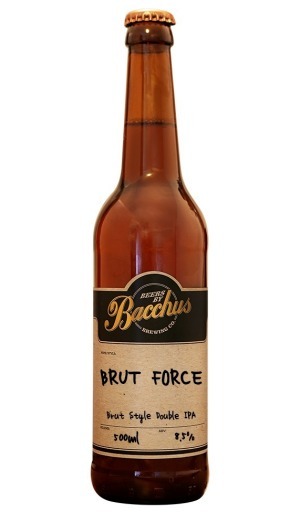 He wanted to call it Champagne beer, but his friend pointed out that Brut would convey the same meaning with less risk of legal action from the notoriously litigious Champenois. "When I made the first one, I really wanted to give it a name that pointed out that there was something different about it and talk about the process of using an enzyme to get the beer as dry as possible," says Sturdavant. "When other brewers in San Francisco came by to try the first batch that I did, and they were really excited about it and wanted to make it themselves, I encouraged them to also call it a Brut IPA with the hope that maybe it would turn into a style – but I still didn't expect it be such a success." This is full of vinous, passionfruit character, courtesy of the trio of Southern hemisphere hops used: Motueka, Nelson Sauvin and Galaxy. Head brewer Brooks Carretta says his beer is "extremely fragrant ... like if you were drinking sort of a mineral-y white wine". Expect to see it in cans in December. The first Australian Brut IPA, this is a crisp, clean effort that's absolutely full of fruit-forward New World hops. Made with Hallertau Blanc hops from southern Germany, Slipstream's Brut IPA is a floral, vinous drop that hints at a more subtle future for the style. Released in September, Hop Pop has all the champagne-like dryness that is a hallmark of the style. The addition of blood orange juice makes this a rounder effort than most, but with the same bone-dry finish. A huge gooseberry-load of hop character is offset by resolute carbonation in this impressive effort from the Western Australian brewers. This extra-strong Brut is made with plenty of pureed passionfruit, but it remains elegantly dry on the palate.